The Sikorski raw farmers sausage is incredibly versatile and can be cooked in a number of different ways. Here is one very simple and delicious way to prepare the white sausage. Enjoy! 1. 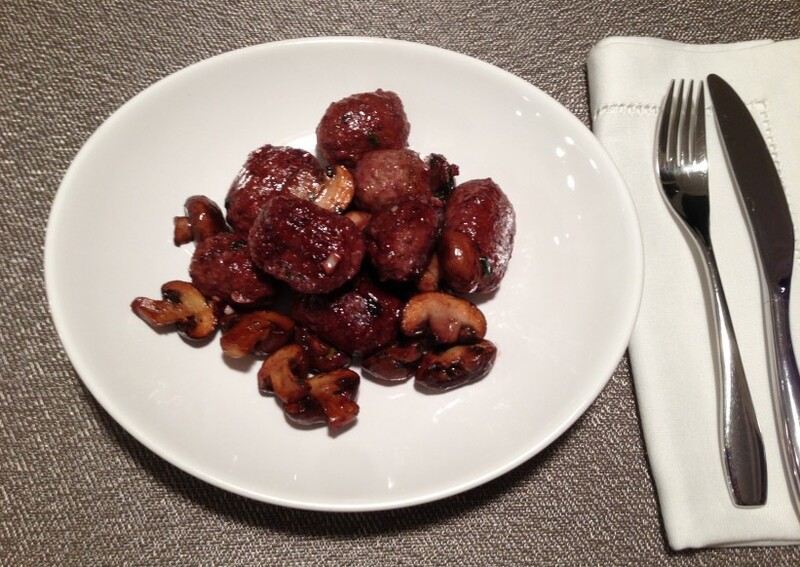 Remove the skin from the sausage and form the meat into walnut-sized balls. 2. In a pan, heat olive oil and add the sausage balls. Cook until golden brown. 3. Crush garlic cloves (to release more flavour) and add to the pan, along with rosemary and thyme. Fry for 5 minutes. 4. In the meantime, clean and quarter mushrooms. Fry the mushrooms in a separate pan for 5 minutes or until golden. 5. Add the cooked mushrooms to the sausage and simmer for 15 minutes. 6. Stir in the chopped parsley leaves, add salt and paper to taste, and serve.